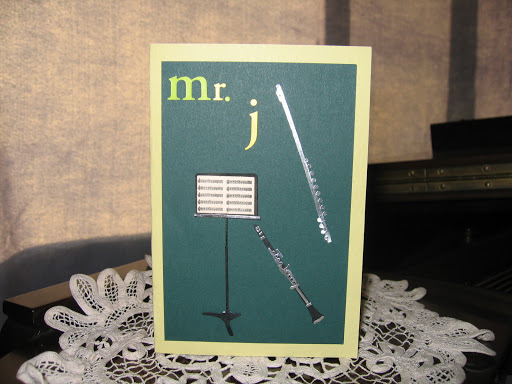 Last night my daughter and I made a thank you card for her school band director, Mr. Jacobson. She plays the flute. That is such a cute card. Just perfect for a music teacher. I know I just started my blog too, so I am not quite sure all about how it goes. God Bless.